1.1. This document is an electronic record in terms of (i) Information Technology Act, 2000; (ii) the rules framed there under as applicable; and (iii) the amended provisions pertaining to electronic records in various statutes as amended by the Information Technology Act, 2000. This electronic record is generated by a computer system and does not require any physical or digital signatures. 1.3. Nature of Entity : The Website is owned, registered and operated by City Link Portal Private Ltd. (“City Link”), a Private Limited Company, incorporated under the provisions of the Companies Act, 2013 and having its registered office at #1014, 10th Floor B-Wing, 6/47, Mittal Towers, MG Road, Bengaluru- 560001, Karnataka-INDIA. “Carriage” means and includes the whole of the operations and services undertaken by Us in connection with the Consignment. “Consignment” means any package, parcel, satchel, or freight which is or are given to and accepted by us for carriage under Our Consignment Note. “Consignment Note” shall mean a digital-note provided by Us to the Customers to filled with the relevant particulars of the Consignment that is required to be transported. “Order” shall mean any order, injunction, judgment, decree, ruling, writ, assessment or award of a court, arbitration body or panel or other Authority. 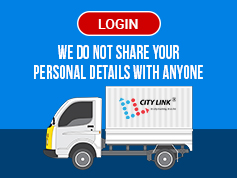 To initiate a transaction with City Link, You will be required to post a request for a shipment through the Website, mobile app or our call center (080-4344 4344). Without limitation, You will be required to provide origin and destination addresses, the requested date and pickup time of the Consignment, a description of the items being shipped (including weight, value) and any other relevant information about the Consignment. Once the Shipment is accepted for Carriage by City Link, the details of the Shipment are posted to the Website. City Link will provide you with a booking number, and provide the invoice for the transportation charges. If you are a Shipper, you hereby represent, warrant and covenant that: (a) You own the shipped items or have the necessary rights to ship such items; (b) You will not use the Website to ship items that are illegal, dangerous, hazardous, harmful, unsafe, offensive or objectionable (c) You use the Website to ship items at your own risk and agree that City Link will have no liability for any shipped items; (d) You are solely responsible for obtaining any insurance to cover any anticipated losses (e) Requested pick-up and delivery dates and hours will not require City Link to violate hours of service regulations specified under Applicable Law; and (f) You are solely responsible for any and all liability, which results or is alleged as a result of such shipped items, including, but not limited to, property damage, personal injury and death. i. All content included on the Website and Mobile App, including but not limited to, text, graphics, logos, designs, photographs, button icons, images, video clips, digital downloads, data compilations, is the property of City Link, and is protected by the applicable intellectual property laws. The compilation of all content on this Website is the exclusive property of City Link, and shall not be reproduced or used without express written permission from City Link. You agree not to decompile, reverse engineer or disassemble any content accessible through the Website, not to insert any code or product or manipulate the content of the Website in any way that affects the Customer's experience, and not to use any data mining, data gathering or extraction method. We reserve the right to terminate our engagement if We, in our sole and absolute discretion, believe that You are in violation of this clause. ii. City Link’s content are made available on or via the Website and Mobile App, are provided to You AS IS for Your information and personal use only and may not be used, copied, reproduced, distributed, transmitted, broadcast, displayed, sold, licensed, or otherwise exploited for any other purposes whatsoever without the prior written consent of City Link. City Link reserves all rights, not expressly granted in and to the Website. [www.city-link.co.in] is the domain of City Link. The Website and Mobile App, including, but not limited to its graphics, logos, page headers, button icons, scripts and service names constitute trade dress of City Link. The trademarks, domain names and trade dress of City Link shall not be used or reproduced without prior written approval from City Link, and may not be used in connection with any product or service that is not affiliated with City Link, in any manner that is likely to (a) cause confusion among Customers or potential customers; or (b) dilute the rights of City Link, or (c) to disparage or discredit City Link. i. Any information you submit to us is at your own risk. By providing information to us, you represent and warrant that you are entitled to submit it and that it is not confidential and not in violation of any law, contractual restrictions or other third party rights (including any intellectual property rights). a. The website or the Services may contain links to other websites ("Linked Sites"). The Linked Sites are not under the control of the Website. We are not responsible for the content of any Linked Site, including, without limitation to, any link contained in a Linked Site, or any changes or updates to a Linked Site. b. We are not responsible for any form of transmission, whatsoever, received by the customer from any Linked Site. We are providing these links only as a convenience, and the inclusion of any such link does not imply endorsement by the Website of the Linked Sites or any association with its operators or owners including the legal heirs or assigns thereof. b. All the services provided by City Link shall be partly prepaid and will be based on the indicative fare calculated by ‘Estimated Tariff Calculator on its Website and/or Mobile App. The balance fare which shall be the actual fare, as determined in 8.1 minus the advance paid will be payable by the Customer at the end of the trip to the driver of the carriage provided by City Link. c.	While availing any of the payment method/s available on the Website and/or the Mobile App, We will not be responsible or assume any liability, whatsoever in respect of any loss or damage arising directly or indirectly to You due to (a) Lack of authorization for any transactions; (b) Any payment issues arising out of the transaction or (c) decline of such transaction for any reason. d.	You understand, accept and agree that the payment facility provided by City Link is neither a banking nor financial service but is merely a facilitator providing an electronic, automated online electronic payment, collection and remittance facility for the transactions on the Website and/or Mobile App using the existing authorized banking infrastructure and credit card payment gateway networks. Further, by providing payment facility, City Link is neither acting as trustees nor acting in a fiduciary capacity with respect to the payments made by the Customer against the purchase of Services on the Website. e.	City Link reserves the right to refuse to process any request for Service made by a customer with a prior history of questionable charges including without limitation, instances of non-payment, breach of any agreements by such customer with City Link or breach/violation of any law. f.	You acknowledge and agree that the availability of the Mobile Application is dependent on the third party from which you received the Mobile Application (“App Store”), e.g., the Apple App Store or Google Play. You acknowledge that this Agreement is between you and City Link and not with the App Store. Each App Store may have its own terms and conditions to which you must agree before downloading the Mobile Application from it. You agree to comply with, and your license to use the Mobile Application is conditioned upon your compliance with, all applicable terms and conditions of the applicable App Store. a. Any request for modification of Service shall be communicated by the customer to City Link by calling the customer care number 080 4344 4344 and shall make such request for any changes with respect to the Services availed within 48 hours of confirming his/her/its booking. The customer has to pay the extra charges such as parking charges, toll charges, night charges for freight and labours & outer area charges as per the Terms & conditions, if any, that are applicable with relation to the modification of Services requested by the customer. Cancellation Policy: All cancellations made after the vehicle reports at the pick up location will be charged Rs 200.
b. For all electronics payments, refund shall be made through payment facility using NEFT / RTGS or any other online banking / electronic funds transfer system approved by Reserve Bank India. For payments made through credit card, City Link will raise a request with its respective payment gateway within seven (7) working days and the refund amount will be refunded to the appropriate credit card account after deduction of service charges. a)	It shall be Your responsibility to ensure that the contents of the Consignment (including but not limited to weight and/or number of packages) have been properly described in all respects at the time of making Your booking on Our Website or Mobile App. Further, You agree and acknowledge that it shall be Your responsibility to provide requisite documentation including any statutory documents/declarations (if any) that may be required for the transportation of Your Consignment, at the time of handing over your goods to the driver.Pressurizing the driver to overload truck with the consignment than the allowed limit. Misbehaving with the driver in any manner.Not to be encouraged. b)	The contents of the Consignment are not prohibited items and/or are not restricted by Applicable Law. The goods which causes Soiling or damaging the body and/or any other interiors of the mini-truck will not be transported from our side. c)	All statements and information and documents provided by you relating to the consignment will be true and correct and you acknowledge that in the event that you make untrue or fraudulent statement about the consignment or any of its contents, you would risk a civil claim and/or criminal prosecution the penalties for which may include forfeiture and sale of the Consignment. d)	We are authorised to deliver the goods at the address mentioned on the Consignment Note and without prejudice to the foregoing it is expressly agreed that We shall be conclusively presumed to have delivered the goods in accordance with this contract. We will be sending the delivery confirmation via SMS/e-mail to You. No response within 48 hrs would be considered as an affirmative to the delivery. e)	You agree to indemnify us and hold us harmless from any liabilities we may suffer or any costs, damages or expenses, including legal costs, we incur either to you or to anyone else arising out of you being in breach of any of these warranties, representations and guarantees, even if we inadvertently accept a consignment that contravenes any of your obligations. f)	You agree and acknowledge that the use of the Services offered by City Link is at your sole risk. City Link disclaims all representations and warranties of any kind, whether express or implied as to condition, suitability, quality, merchantability and fitness for any purposes are excluded to the fullest extent permitted by law. g)	You agree that you shall not permit any other person who has an interest in the Consignment to bring a claim or action against City Link arising out of the Services rendered by City Link even though City Link may have been negligent or in default and if a claim or action is made, you will indemnify us against the consequences of the claim or action and the costs and expenses we incur in defending it. h)	In case of labour requirement the Distance of city link truck the loading/unloading point should not be more than 25 feet (8 metres). If distance exceeds fare will be calculated according to that. d) Interfere with or disrupt the Services or servers or networks connected to the Services, or disobey any requirements, procedures, policies, or regulations of networks connected to the Services. e) Upload or post or use the Service to transfer, any content or other material that contains or constitutes viruses, Trojan or other code with malicious, disruptive and/or destructive features. f) You shall not attempt to gain unauthorized access to any hardware or software systems or networks associated with the Service, or obtain any services or information not intentionally made available to you by City Link on or through the Service. g) You shall not attempt to gain unauthorized access to the Account of any other customer or entity, or otherwise interfere with any other customer's or entity's use of the Service. h) You shall not use any false or misleading information (e.g., false or misleading names, email addresses or URLs) when using the Service, including, without limitation, with respect to any identifying information for your account, and all information that you provide must be accurate and correct, and you must update any changes to such information, so that it remains current. a. The Website, the Services and each portion thereof are provided "as is" without warranties of any kind either express or implied. To the fullest extent possible pursuant to applicable laws of India, we disclaim all warranties, express or implied, with respect to the Website, the Services and each portion thereof, including, but not limited to, implied warranties of merchantability, fitness for a particular purpose, non-infringement or other violation of rights. b. City Link does not warrant or make any representations regarding the use, validity, accuracy, or reliability of, or the results of the use of, or otherwise with respect to, the Website or its Services. c. City Link accepts Consignments only upon obtaining the customers declaration of the type and value of the consignment. City Link will have no responsibility whatsoever with respect to the correctness of description, type or value of the Consignment. d. City Link shall not be liable for any loss or damages suffered by the customer due to any failure on the part of City Link to render its Services for any reason whatsoever, including but not limited to, partial or total failure of any network terminal, data processing system, computer tele-transmission or telecommunications system or other circumstances which may or may not be within the control of City Link. e. Under no circumstances, including, but not limited to, negligence, shall City Link be liable for any direct, indirect, special, incidental or consequential damages, including, but not limited to, loss of data or profit, arising out of the use, or the inability to use, the Website, the Services or any portion thereof. g. City Link does not guarantee that the Website will function without interruption or errors in functioning. In the particular, the operation of Services may be interrupted due to maintenance updates, or system or network failures. In the event of interruption in provision of the Services due to the above mentioned reasons, City Link shall inform the customer of the same, and City Link disclaims all liability with respect to delay in provision of Services due to the same. 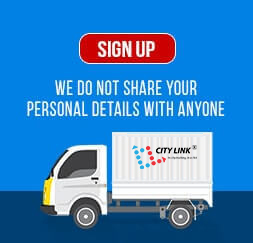 h. City Link shall be entitled to disclose to any government body/authority as required by Applicable Law or by any directive or request from any government body, the particulars of the customer engaged by City Link. i. In case of lost items during the delivery, City Link will try to locate the items on a "best-effort" basis but is not responsible for the same in case of loss or damage to the same unless booked at carrier’s risk/insured through City Link. j. With regards to rejected consignments, if the receiver refuses to accept delivery of the consignment, City Link will try to contact the customer to confirm the appropriate next action. The customer shall pay any costs incurred by City Link while forwarding, disposing of or returning the consignment and other charges (if any) for the agreed appropriate next action. k. Any complaint in respect of the Services or the use of delivery vehicle, has to be informed by the customer to City Link within 48 hrs before using the Services of City Link. l. City Link shall be entitled to add to, vary or amend any or all these terms and conditions at any time and the customer shall be bound by such addition, variation or amendment once such addition, variation or amendment are incorporated into these terms and conditions at City Link's website at [www.city-link.co.in] on the date that City Link may indicate that such addition, variation or amendment is to come into effect. (i)	Any force majeure event which is beyond the control of City Link including but not limited to, earthquakes, cyclones, storms, flooding, fire, war, accidents, acts of public enemies, strikes, embargoes, local disputes or civil commotions. (ii)	National or local disruptions in ground transportation networks and mechanical problems to modes of transport or machinery. (iii)	Road blocks, unusual traffic jam, or vehicle break-down. (iv)	Criminal acts of third parties such as theft and arson. (v)	Latent defects or inherent vice in the contents of the consignment. City Link reserve the right, at its own expense, to assume the exclusive defense and control of any matter otherwise subject to indemnification by you, and in such case, you agree to fully cooperate with such defense and in asserting any available defenses. All the calls made to the Company's call centre are recorded by the Company for quality and training purposes. In the event You place a query on our app/website including query with respect to our Services, applicable fees or terms of Service, You hereby expressly agree to consent to receive our responses, whether by way of telephonic calls or electronic mail, to such query and all related information with respect to our Services.